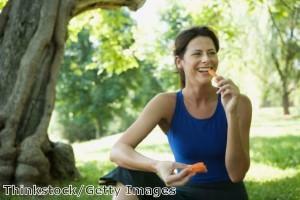 A US study suggests carotenoids could help to reduce the risk of breast cancer. New research has highlighted the health benefits of carotenoids, a group of micronutrients found in fruits and vegetables. Scientists at Harvard Medical School and Brigham & Women's Hospital found that women with high levels of carotenoids circulating in their blood appeared to benefit from a reduced risk of breast cancer. The research team analysed the results of eight previous studies, bringing together more than four-fifths of published data on plasma or serum carotenoids and breast cancer. In more than 3,000 cases, the researchers observed that the higher a person's levels of circulating carotenoids, the lower their risk of breast cancer. The relationship between carotenoid levels and breast cancer risk was particularly relevant in the case of oestrogen receptor-negative (ER-) breast cancers. Publishing their findings in the Journal of the National Cancer Institute, the researchers claimed that carotenoids appear to be "one of the first modifiable risk factors for this poor prognosis tumour type". They added: "A diet high in carotenoid-rich fruits and vegetables offers many health benefits, including a possible reduced risk of breast cancer." While everyone has heard of the benefits of eating plenty of fruit and vegetables, many people do not manage to eat the recommended five daily portions. For instance, the latest NHS figures show that just 25 per cent of men and 27 per cent of women consumed five portions of fruit and vegetables per day in 2010, with the average adult eating just 4.2 daily portions. This means that despite the widely acknowledged benefits of eating plenty of fruit and veg, most people are not getting enough carotenoids and other such nutrients from their diet. Many recognise the importance of these nutrients but find it hard to achieve a balanced diet because of their busy lifestyle, instead choosing to supplement their natural intake of carotenoids and other nutrients by taking supplements. For instance, people who believe their health may be compromised by a poor diet and environmental pollutants may want to consider a product such as AlphaGuard Plus, a full-spectrum antioxidant food supplement that contains a wide range of carotenoids, including beta-carotene, lutein, lycopene and zeaxanthin. This combination of antioxidants works with the body to protect your cells and enhance overall wellbeing.